I may be a personal trainer and well known for being a body transformation specialist, however, I have still had my own weight loss struggles. All throughout my life I have battled with my weight, but looking on the brightside of this I can relate to what you are going through when trying to lose weight. There are a lot of personal trainers out there who have good genetics and have six packs no matter how bad their diet is (yes I know quite a few of these people and I hate the fact they can eat anything and stay ripped), however, just because they look good doesn’t mean they can help you. Having poor genetics isn’t an excuse to be overweight; however, it does mean you might have to work harder and smarter in order to achieve your ideal weight. This is why I personally think you are better off taking advice from someone who isn’t blessed with good genetics as they can relate to your struggles. I am not saying all personal trainers who are blessed with good genetics are bad trainers, as I know some very good trainers who are blessed with good genetics, however, they often don’t realise just how hard it can be for the average person to lose weight. From my weight loss experiences throughout my life I know exactly how hard it can be to lose weight which is why I am going to tell you about my main weight loss experiences and how I came about creating the Lose Weight Fast Academy. I want you to know you’re not the only person who has struggled in the past with their weight and that there is a solution out there for you just like there was for me. I may be a personal trainer, but I am still human and struggle with my weight. 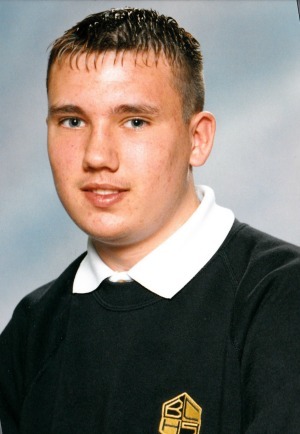 The first ever diet I went on was when I was just 14. When I was younger I was very active and my whole life revolved around football. I lived and breathed football. I played 5 aside football in leagues at Wallsend Boys Club every night of the week and I also played 11 aside football on a Sunday. This was on top of playing for the school football, rugby, basketball and cricket teams and representing the school at athletics. During an 11 aside football match when I was 14 where Newcastle United Football scouts were watching I tore my knee ligaments in a tackle and couldn’t play football for 8 months. As you could imagine I was devastated I couldn’t play and was even more devastated I missed my chance to impress the scouts. During those 8 months of not playing football and not exercising I put on about 2 stone in fat as all I did was eat to try to make myself feel better. My diet was terrible as I was eating about 5 or 6 chocolate bars per day and for my school lunches I was eating chip butties with kebab meat. Shocking I know. Even more shocking was that I began drinking alcohol on the streets with my friends most nights during this time as it helped me forget about not being able to play football. 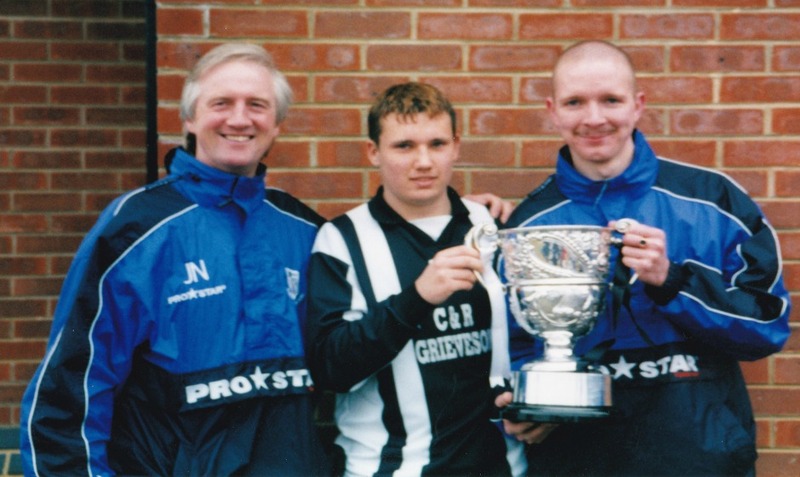 Once my knee injury had recovered I was really excited to start playing football again, however, my manager wouldn’t play me as he said I was too fat. I had just missed 8 months of doing what I loved the most and all I wanted to do was play football again. So I set out on my mission to lose my weight so I could play football again. Through being tall for my age and being overweight I looked older than I was, and instead of using this to buy alcohol like I done when I was injured, I was now able to lie about my age for a good cause and join a gym. I went to the gym for two to three hours every night straight after school. I ran for 30-minutes to an hour on the treadmill, done 30 mins to an hour of weights and then ran for another 30 minutes to an hour on the treadmill. Every night before I went to bed I used to do between 100 and 500 crunches. 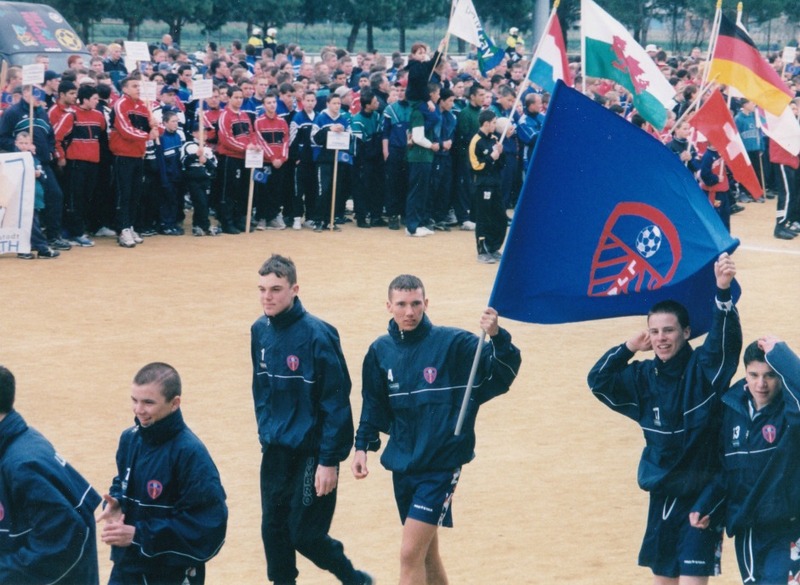 This gym work was on top of playing 5 aside football 3 nights per week, football training twice per week, playing (should I say watching as I didn’t get a game) 11 aside football on a weekend and also representing my school at football, rugby, basketball, cricket and athletics. My diet also changed dramatically. Instead of eating loads of chocolate and chip butties all I had every day was a banana milkshake for my lunch at school and then beans on toast once I got in from the gym. Not healthy I know but I was 14 and didn’t know better, I just wanted to play football again. I carried this on every single day without fail for 6 months, eating just the 1 meal of beans on toast per day and going to the gym for 2-3 hours per day on weekdays. In those 6 months I lost the two stone plus about ¾ of a stone extra. I got back in my football team and I was happier than ever that I could play football again. Unfortunately after just 1 month of playing football again, in a cup final where scouts from various professional football clubs were watching I tore my knee ligament in my opposite leg and was out of football and exercise for another 8 months. During these next 8 months I was so scared of getting fat again and not getting picked to play football for my team once I had recovered that I carried on just eating 1 meal per day. This time though I was eating beans and chicken, which was an improvement on beans on toast, as I heard my football hero Alan Shearer used to eat chicken and beans before playing football. Even though I was eating 1 meal per day I put back on just over a stone in weight. Not as much as when I ate rubbish foods but I still put on weight whilst only eating 1 meal per day. I am proof you can put on weight eating very little and that cutting calories very low doesn’t work long term. After the 8 months I was able to play football and exercise again so I wanted to lose the stone I had gained. I re-joined the gym and again started going to the gym for 2-3 hours on weekdays, however, this time I didn’t lose any weight. I was so determined to lose the weight I had put on that I started getting up 3 mornings per week to run for an hour before school, however, I still couldn’t lose any weight. I then increased the length of time I spent in the gym up to 3 and a half hours and that didn’t work either. The last thing I tried was increasing the number of sit ups I done on an evening to between 250 and 700. Again this didn’t work and I stayed the same weight. This extreme diet and extreme exercise came to an end when I tore my hamstring off the bone during a football training session and couldn’t play football for another year. I stopped going to the gym as I wasn’t able to train and I went back to a normal diet which lead me to putting on a stone in weight. You might say I was a tad unlucky to get 3 very serious injuries all before I was 17 but I guess they have helped create the strong resilient person I am today. 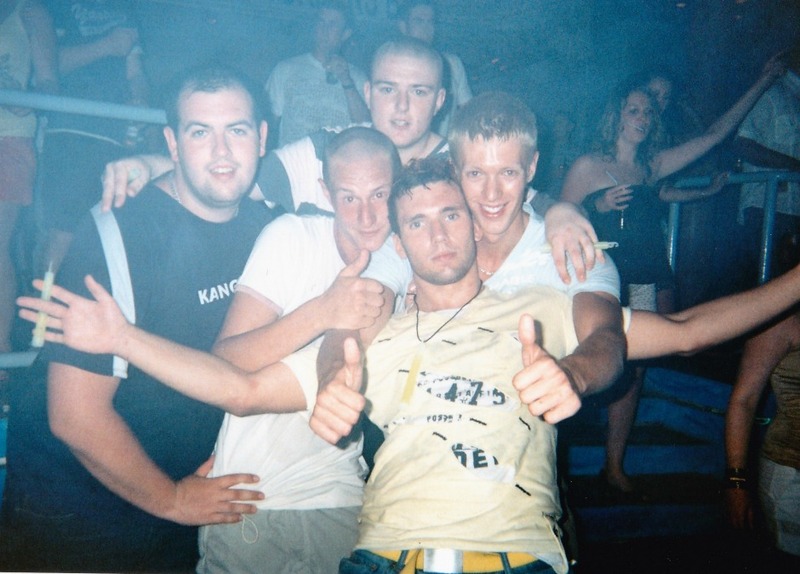 When I was 18 I booked up to go to Ibiza for my first lads holiday with my friends. By this point in my life I had got an A star in GCSE PE, a distinction for BTEC National Diploma Sport And Exercise Science at college and I had just started working as a fitness instructor in my first gym. I thought I new a lot about losing weight so I thought I could get into great shape for going to Ibiza. I started my holiday preparation 8 months prior to going. I thought this would give me more than enough time to get a six pack since I was already pretty fit through playing football and training at the gym regularly. 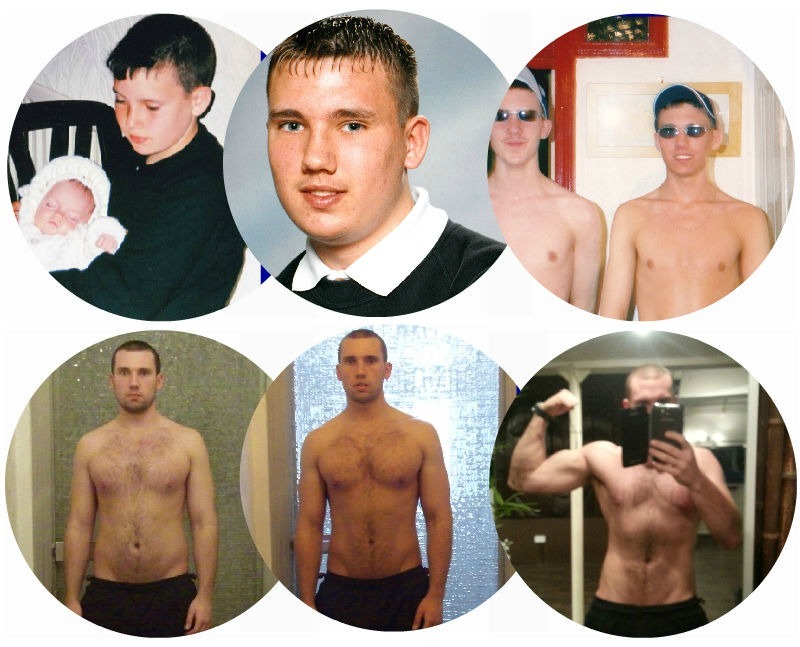 My training consisted of running 3x per week with the running club I ran at the gym, weight training 5 days per week, football training twice per week and playing football on a Saturday for my men’s football team and also on a Sunday for my under 19 football team. As the time got closer to my holiday I increased the intensity of the training, trained for longer, added in an extra run per week, added in 3 45 minute swims per week and done between 400 and 800 sit ups every night before bed. 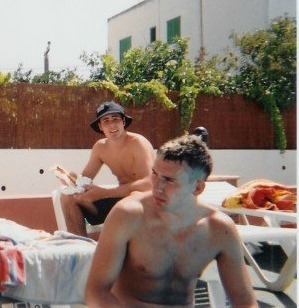 Guess what, even though I was often training 3x per day, when it came to my holiday I didn’t have a six pack. In fact even after doing all of this exercise my body barely changed at all. The next year I booked up to go on holiday to Ibiza again. Throughout the year leading up to my second holiday to Ibiza I carried on the same amount of training and then worked even harder in the lead up to the holiday than the previous year. Guess what; I still didn’t have a six pack even though I trained more often, longer and harder than anyone I knew. In fact I probably trained more often than most athletes. People say you always get what you work hard for but that saying isn’t correct if you put all of your effort into doing the wrong thing. After going on lots of health and fitness courses in the UK and learning about all the most effective exercise methods and starting to realise how important nutrition is for weight loss I decided to do some experiments on myself. My first experiment was to do 3 weeks of metabolic resistance training and high intensity interval training 5 times per week but not change my diet. These were the most effective fat burning exercise methods I had come across so I decided to test them first. At the end of the 3 weeks I had lost a couple of pounds but nothing special. My second experiment was to train 5 times per week for 3 weeks using a combination of metabolic resistance training and weight training. Again at the end of the 3 weeks I had lost a couple of pounds but nothing out of the ordinary. My third experiment was to change my diet and not do any exercise for 3 weeks. In the first two weeks I lost 9lbs and in the third week I stayed the same weight. I decided to keep doing the diet without exercise for an extra week and I lost another 1lb in the fourth week. 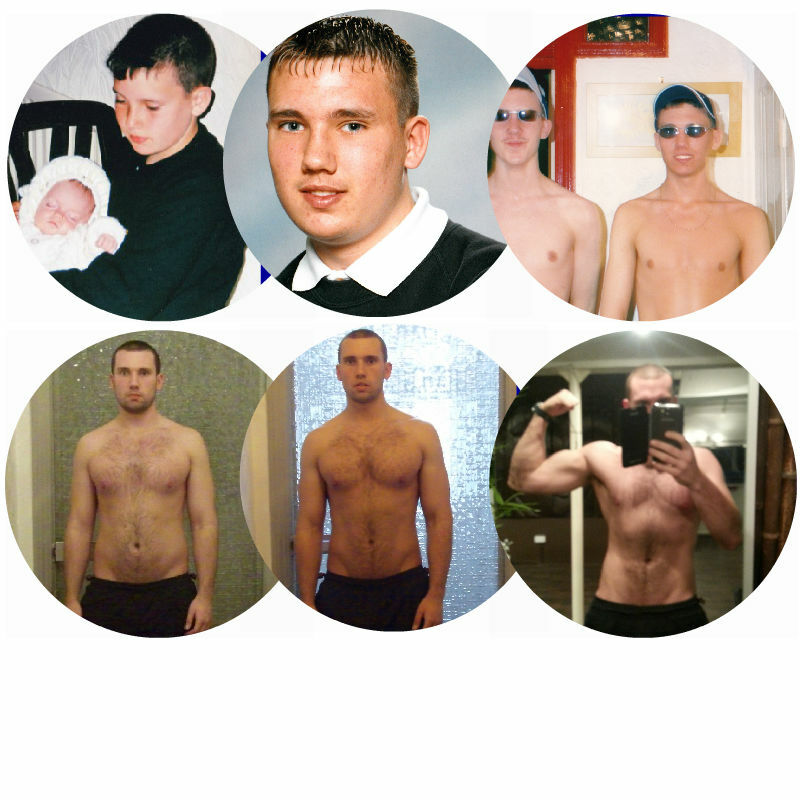 My final experiment was to train 4 times per day for 3 weeks using a combination of weight training, metabolic resistance training, high intensity interval training and cardio but just eat a normal diet. In the 4 weeks I dropped a couple of pounds but nothing dramatic for training 4 times per day. From these experiments on myself I came to realise just how important nutrition is when it comes to weight loss and that your diet is far more important than exercise. If exercise was more important than your diet I would have lost a ton of weight exercising 4 times per day for 3 weeks. I didn’t, instead I lost the biggest amount of weight through making changes to my diet and not exercising. I met a new girlfriend and during the first few months I didn’t exercise as much, I ate meals out and takeaways more often and before I knew it I had put on a couple of stone. I thought how can this be fair when the girl I was with hadn’t put on any weight whatsoever, ate just about all the same foods as me, didn’t do any exercise whatsoever and was about half my size? I already had an idea I didn’t have the best genetics as I always had to work really hard to stay fit and healthy but this just confirmed it through putting on 2 stone in 3 months eating the same foods as someone else who didn’t put on a single pound. I thought there is no point feeling sorry for myself and decided to lose weight. Having already come to the conclusion from my previous experiments on myself that nutrition is far more important for weight loss than exercise I set about losing weight through changing my diet. My weight loss went well at the start. I lost about 6lbs in the first week eating healthy and then it hit a plateau and I didn’t lose another pound for a month. As I was a Certified Metabolic Typing Advisor I decided to follow the Metabolic Typing diet for my individual metabolic type. I lost 4lbs the first week and 3lbs the next week and then I hit a plateau again. For the next 3 weeks I didn’t lose any weight. I was a bit confused as to why I kept hitting plateaus especially when eating for my Metabolic Type and feeling really good whilst following the diet so I decided to do more research into weight loss through nutrition. The next method I came across was carb cycling. I decided to give this ago and again it worked well for the first few weeks but then I hit a plateau. I then decided to try intermittent fasting but yet again it worked for a few weeks before hitting a plateau. However, by this point I had got back down to my original weight so I decided to eat healthy to maintain my weight. After months of working really hard helping clients to lose weight and learning from the best in the industry I had forgot to look after myself and had put on a few stone. I was working 7 days per week from 6.15am till 10pm Monday to Friday and 8am till 8pm on weekends and I hadn’t had a single day off in over 6 months (except going on courses but this is still technically work even though I really enjoy them). I was so busy with personal training sessions that I was eating food on the go rather than preparing healthy food. No excuse I know but I was concentrating so much on helping people I completely forgot about myself. To be honest I wasn’t eating that bad compared to most people and I was still managing to exercise 3 times per week between personal training sessions but I do gain weight very quickly unless I am 100% spot on with my diet. It’s not fair that I gain weight very easily but it’s the way my body works so I have to get on with it and work harder than most just to maintain my weight which you can see from my previous weight loss experiences. When I realised I had gained weight I was ashamed to be getting really good results with my clients yet at the same time gaining weight myself. It’s not very inspiring to see your personal trainer gradually gain weight so I decided to do something about it. By this point I was seeing excellent results with my clients by cycling through different nutrition protocols when they hit a plateau and I was offering double your money back weight loss guarantees with my programmes because it was working so well. As cycling through different protocols was working so well for my clients I decided to put the 8 best nutrition methods I had found in a specific order and do them back to back for 8 weeks. My clients were often hitting a plateau with each protocol after 2 or 3 weeks so I decided to change the protocols weekly in the hope I wouldn’t hit a plateau. Guess what? The diet I created worked amazingly as I lost 24lbs in just 8 weeks. This was the fastest I had ever lost this much weight and I lost the weight gradually throughout the 8 weeks without hitting a plateau. Over the next few months I tried different orders of the 8 nutrition methods with my clients but although they worked well they didn’t work as well as the original order I used myself. One day I woke up and had an amazing idea that I should share this 8 week protocol with more people. So I decided to start working on running a live 8 week nutrition course. Stupid me had forgot to take before and after photos and I know people don’t try things unless its proven to work so I decided to gain a little weight (about ½ stone) and then go through the plan again for 8 weeks and take before and after photos of myself. I thought to myself there is no way it will work as well the second time through and thought this time I would lose around a stone. However, I was very surprised to find that at the end of the 8 week programme I had lost 23lbs, just 1lb less than the first time through. I still hadn’t finished all of the course content so I recruited some people to go through the plan free of charge whilst I was finishing the content for the live seminars. 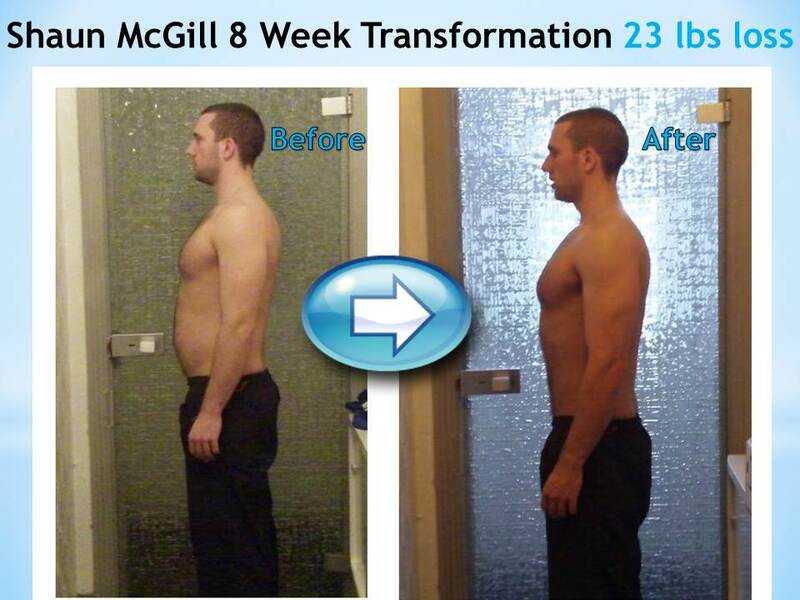 The average weight loss from the people who completed the free 8 week programme was 21lbs in 8 weeks. 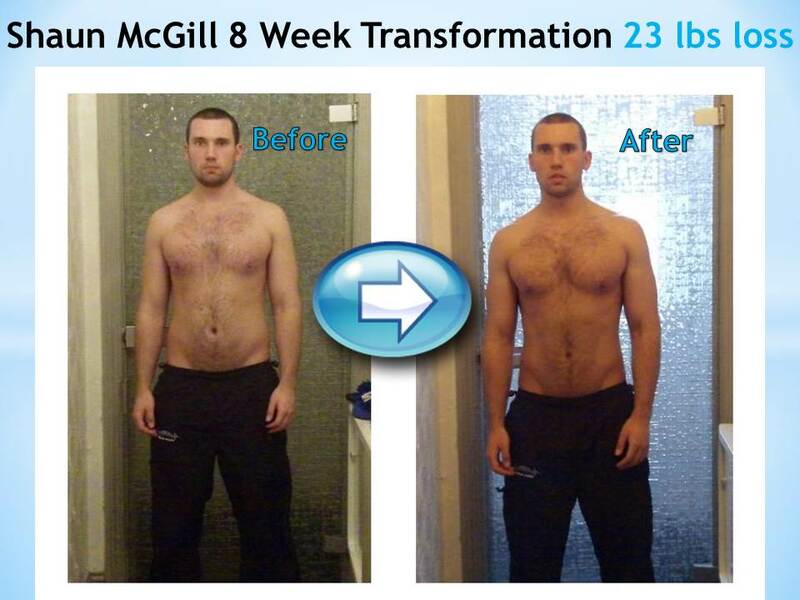 I was really happy this plan worked so well and that people lost weight consistently throughout the 8 weeks. Most of these people had been training hard for years and had followed numerous diets without success, however, my 8 week plan worked amazingly for all of them. After people saw my success and the success of my free participants, people flooded to my live course. Throughout the courses I ran I kept track of everyone’s measurements and the average weight loss from everyone who has participated in the exact 8 week Lose Weight Fast Academy nutrition plan (not including those who done the 8 weeks in different orders when I was testing the plan) is an incredible 23lbs. As my live courses were a success I had an even better idea. I wanted to help even more people to lose weight fast and transform their bodies the fast and healthy way so I decided to create my 8 week plan into an online programme so anyone in the world can lose weight and live a happy life at their ideal weight. The 8 Week Lose Weight Fast Academy was born.